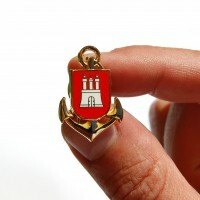 This anchor pin with the Hamburg Coat of Arms is the perfect accessoire for every sailor and seaman's bride. 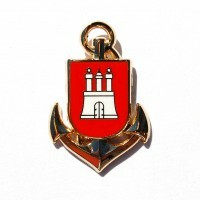 Made of golden metal and soft enamel it is very classy. Traditional small Hamburg bottle ship replica model of the famous Gorch Fock II.